I went to the art store today to get the makings for the game board and the terrain. 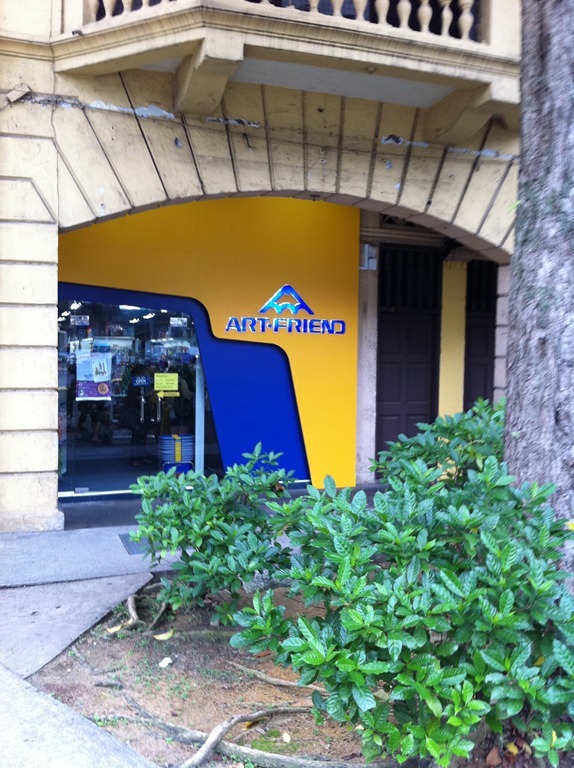 As I mentioned previously, the shop, The Art Friend, is just down the road from me. It’s well stocked with paint and art materials. For just over Aussie $100 (US$100, SGD 130) I bought enough material for the game board (24×24 inches of canvas stretched over a wooden frame. I also got some styrene and a styrene cutter for some hills; some felt and foam for flat area terrain; small trees and some balsa and magnetic bases for mounting them; acrylic paint for painting the terrain; brushes; and some really neat patterned paper to place over coloured paper for the waterway and maybe river sections. More on that when I make some test batches. The whole purchase was rounded off with some glue and some wires for spears. The only frustrating thing today was that as a joined the Friends of Art Friend, which gives me a 10% discount, the joining was processed after the purchase! Argh! 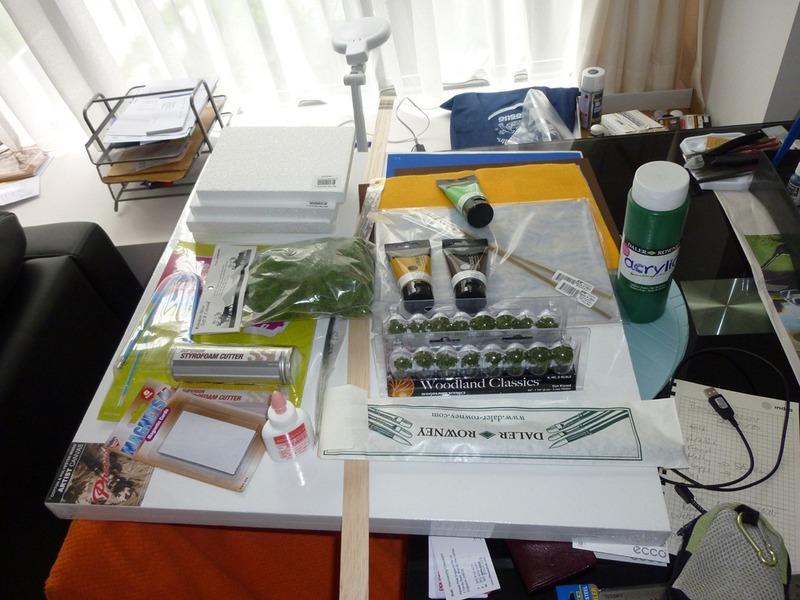 Anyway, the picture below will give you an idea of the raw materials for my wargames table.